Endangered Species Day takes place on the third Friday each May and is marked with events at conservation centers and other locations nationwide. Current scientific data shows that extinction is taking place at a rate of several thousand species per year. The Endangered Species Act, enacted in 1973 and signed into law by President Richard Nixon, helped set up guidelines in the U.S. for protecting endangered species by categorizing them as threatened or extinct and creating protections. The first list of Wisconsin endangered and threatened (E/T) species was developed in 1972 following enactment of Wisconsin’s endangered species law. The list was created to restrict the taking, possession or marketing of species threatened with extinction from the state. In 1967 Wolves are listed under the Endangered Species Preservation Act of 1966, the precursor to the Endangered Species Act. 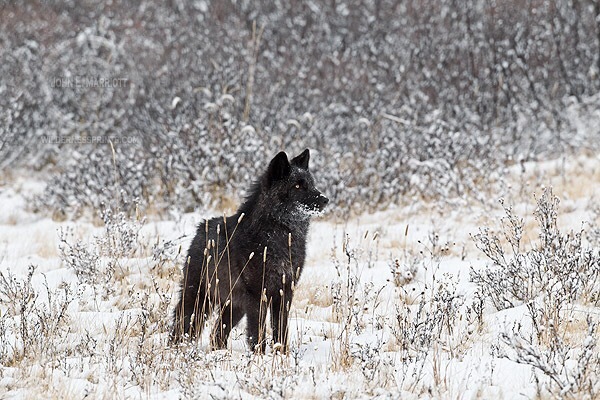 Then, in 1974 subspecies of wolves are listed as endangered under the Endangered Species Act and in 1978 Gray wolves were listed at the species level under the Endangered Species Act as endangered throughout the coterminous United States and Mexico, except in Minnesota, where gray wolves were listed as threatened. Source HSUS timeline about wolves. Saturday May 21, 2016 – The International Crane Foundation invites visitors to celebrate Endangered Species Day with special activities. Open daily April 15 – October 31 9:00 a.m. – 5:00 p.m.
For more information please visit savingcranes.org or call 608-356-9462 ext. 121. 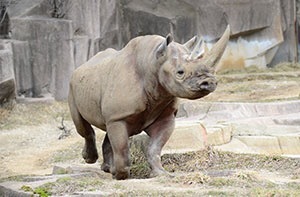 On Friday, May 20, from 10 a.m. to 2 p.m., at the The Milwaukee County Zoo – the Zoo’s black rhinoceros, Mimi, will “vanish” for the day, highlighting the need to save wild animals and their habitats. Mimi’s indoor exhibit will be completely covered, not allowing visitors to see her; the outdoor exhibit will display only a rhinoceros skeleton, simulating a world without rhinos, and further emphasizing to visitors that saving animals from extinction is extremely critical. When Mimi “vanishes” from her exhibit, it will help relay why saving animals from extinction is critical. Also from 10 a.m. to 2 p.m., visitors can visit the Remains to Be Seen Cart, which will include various artifacts from endangered species. Volunteers will be on hand to answer questions, and help kids make special rhino masks. AZA trading cards also will be available for visitors to take home. A special banner will be available for guests to sign, asking for their pledge of what they’re willing to do to save endangered animals. The banner text will relay that zoos are the last hope for many animals on the verge of vanishing – but zoos shelter only a fraction of the world’s species. How will they help preserve animals for future generations?